Measures approximately 6 inches long and 4-1/2 inches wide. ONLY ONE AVAILABLE - Sorry no changes can be made. 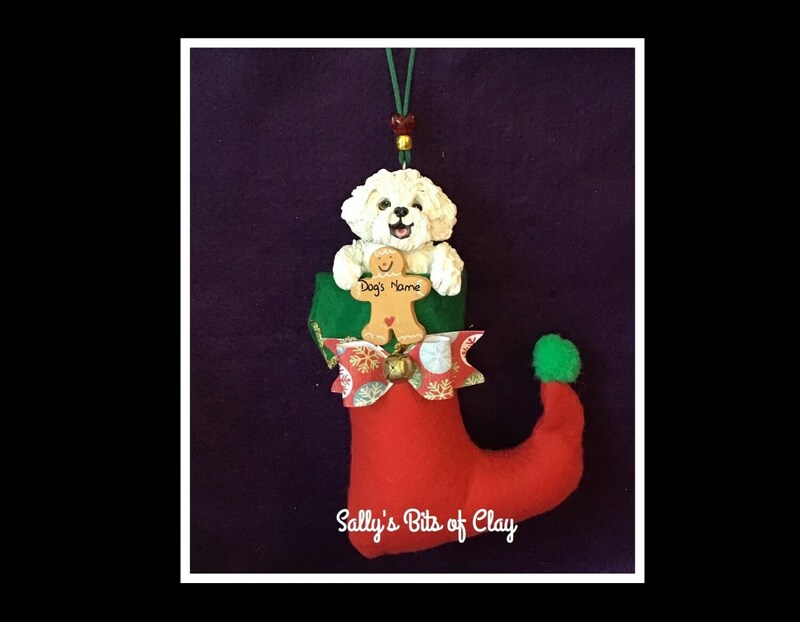 Elf Stocking is made with felt and I have stuffed it with polyfill to give it dimension. I hand sculpted the dog and the gingerbread man with polymer clay and fine details are hand painted. It is attached to the stocking. I also made the bow on the front of the stocking and added a little jingle bell. This is a one of a kind ornament and will never be exactly duplicated.